What grows well with fruit? 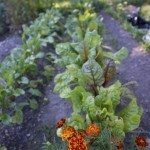 Companion planting with fruit trees isn’t only about planting a lot of pretty blooming plants in the orchard, although there’s certainly nothing wrong with planting nectar-rich flowers that attract pollinators. Compatible plants for a fruit garden also serve as living mulch that eventually decompose and enrich the soil. Fruit tree companion plants help keep weeds in check, conserve soil moisture and may even discourage pests – all with very little extra work for you. Read on for a few examples of good companions for fruit. What Grows Well with Fruit? Comfrey – Comfrey roots grow deep into the ground, helping to pull nutrients and minerals from the soil. Because it’s such a vigorous grower, comfrey out competes weeds. Freshly cut comfrey serves as rich, nitrogen-rich mulch. Be sure to plant comfrey where you want it, because once established, it’s probably going to be there for a very long time. Marigolds – Marigolds attract pollinators, but that’s just the beginning. These cheery plants also discourage nematodes in the soil and a variety of other pests above the soil. Marigolds tend to self-seed, so you may need to plant them only once. Lupine – Lupine is a member of the legume family and, like all legumes, it fixes nitrogen in the soil. As an added benefit, the beautiful blooms attract several species of butterflies. Other types of legumes, including peas or beans, can provide the same results. Nasturtiums – Nasturtiums are believed to discourage codling moths, a scourge of several fruit trees, including apples. Plant nasturtiums seeds at the base of trees. Hyssop – Hyssop is an attractive herb with a bitter aroma that discourages pests. Hyssop makes a great companion plant for all types of fruit, including berries. Chives – Chives produce pretty blooms that attract bees and other pollinators, but the onion-like smell keeps pests at bay. Garlic provide similar benefits. Echinacea – Echinacea is a pretty, drought-tolerant daisy cousin. 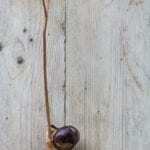 The long taproots loosen the soil and make deep nutrients and moisture more available to fruit trees. Lavender – Lavender smells great, but the aroma confuses pests and often sends them packing. Rosemary has a similar effect, and both attract pollinators. Fennel – Fennel is an herb that attracts parasitic wasps, beneficial insects that help control a number of pests. Dill, mint, basil and coriander provide similar effects, and you can also snip a bit of these herb plants for use in the kitchen.